Premier League Preview for Southampton v West Brom along with Predictions for the matches on week 35 of the EPL. Follow up each match with results and video highlights posted later in the week. You can also check out the weekly EPL TV Schedule. Southampton really picked a great time to start getting wins. Their recent form has been enough to propel them out of the relegation battle and they should be safe at this point with their 39 points. West Brom is also safe with 45 points, but have not been playing as well lately. I think West Brom will have a difficult time against Southampton. West Brom has not been playing well including draws against struggling Stoke and Newcastle and a loss to West Ham. Southampton though has been playing flowing, attacking football with some great passing and possession. They have really stuck with this tactic for the season, but with Pochettino as their manager, they have improved upon Nigel Adkins blueprint and found even more success. 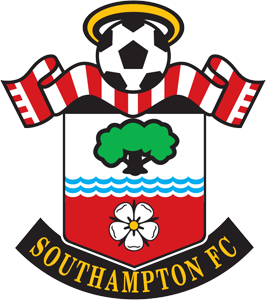 In Saturday’s match I’m predicting a Southampton win with a 2-0 prediction. Southampton’s speed and high pressing will be enough to keep West Brom on the back foot. West Brom do have an attacking threat to watch out for and could get a goal or two and even force a draw, but I have a hard time seeing them getting a win away.